Our college features nationally recognized and ranked programs. Our programs capture the imaginations of students while exposing them to virtually endless possibilities. For more information about our programs, contact the dean’s office at (414) 288-5053 or visit our website. Nationally ranked, distinctive destination programs. Hands-on learning and instruction in clinical and professional practice. 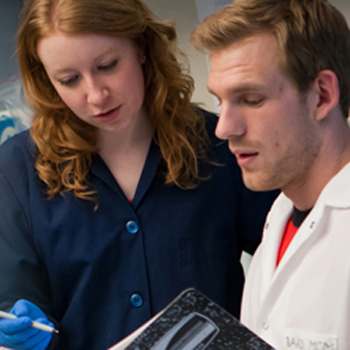 The college provides a variety of research opportunities for students. Our college features nationally recognized and ranked programs in the fields of science and healthcare. Learn more about our undergraduate, graduate and professional programs. Drs. 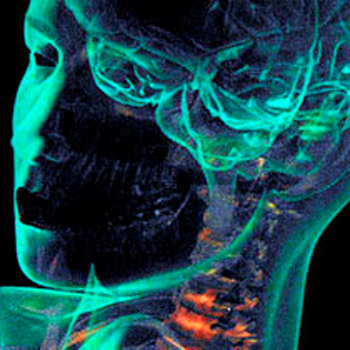 Robert Wheeler and John Mantsch, faculty researchers in the Department of Biomedical Sciences in the College of Health Sciences at Marquette University, received a $1.9 million grant from the National Institutes of Health that will fund neuroscientific research into psychiatric disorders such as addiction and depression. Dr. Murray Blackmore, associate professor of biomedical sciences in the College of Health Sciences at Marquette University, has received a $1.9 million grant from the National Institutes of Health for a five-year project that targets regenerating injured nerve cells in spinal cord injuries. The grant is his third NIH grant of more than $1 million in the past six years. Full video of the tenth event in the Marquette Presents Series, a panel on depression held at the University Club of Chicago, is available online. 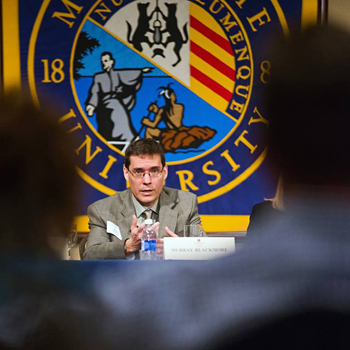 View video of the sixth event in the Marquette Presents Series, a panel on spinal cord injury. The Center for Pre-health Advising is ready to help you find your place among the thousands of Marquette alumni doctors, dentists and other professionals around the world. The Integrative Neuroscience Research Center serves to promote the exchange of ideas among Marquette neuroscience research faculty members.